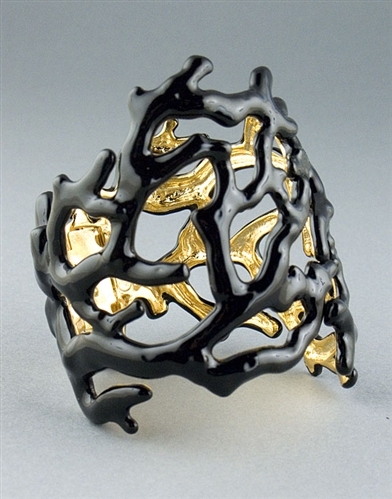 Black enamel branch cuff bracelet by Kenneth Jay Lane. This striking bracelet features a unique organic design of branches that come together and wrap around your arm, adding an instant glamour. Bracelet measures 75mm in height, 65mm in diameter and has a hinged back. A striking designer piece of jewellery that also makes a wonderful gift idea.